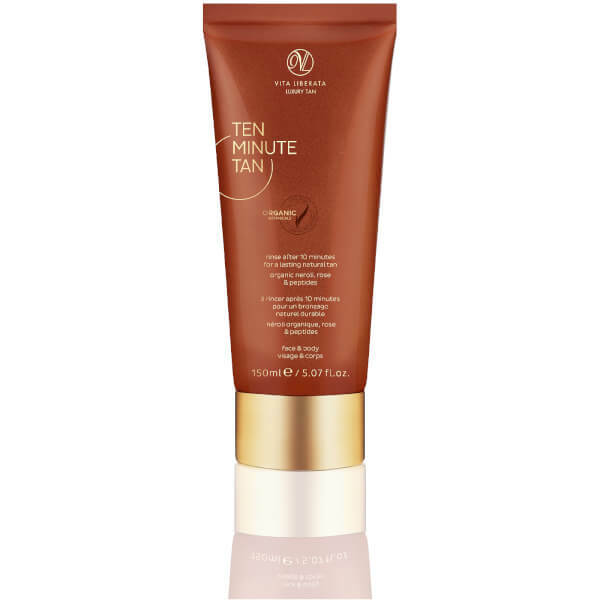 Achieve glowing perfection with the Vita Liberata Ten Minute Tan; an organic cream formula that delivers natural-looking, streak-free colour in just ten minutes. Fortified with anti-ageing ingredients, including Matrixyl 3000, Rose and Neroli, the easy-to-apply self-tan supports collagen production and infuses skin with long-lasting hydration, whilst giving a hint of bronze that slowly develops over 4-8 hours. 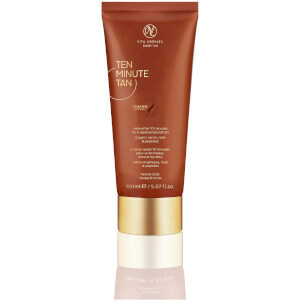 Its innovative Odour Remove™ technology eliminates the unpleasant fake tan smell. Ideal for the face and body, you can expect radiant, flawless colour that can be reapplied to intensify. Wait at least ten minutes and then shower as normal, careful not to use any moisturising shower products. Can be applied daily to build colour to desired depth.